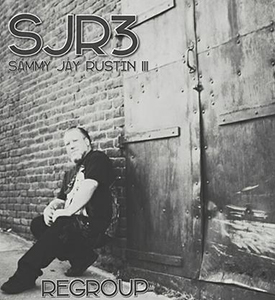 Sammy J Rustin III (A.K.A SJR3) found refuge in music, composing his own melodies and complete songs as early as twelve years old. Over the course of a decade, Rustin’s talent and passion grew beyond what classrooms and lessons could provide. His vision to bring real music to the people has culminated in the launch of his recording studio/recording label in Mariposa, California called Rustin Records. At the young age of 25, Rustin began sharing his love of music with the youth of this small rural community. It was here that he found a sense of creative and humanitarian fulfillment. As his acumen for music, passion for community and skill at management enhanced, he quickly began hosting concerts reaching audiences and fans beyond his modest beginnings, hosting shows at the city and counties throughout the state of California. His beats are mysterious; and layered between heartbreak and longing resides a deep sense of hope inherent in us all. Rustin’s music is accessible to real emotion, which is not only something experience by real people, but by all people. He is a true talent with the heart and ambition for this business. With the support of his fans, he is sure to continue to be rising star.